You Can Leave Your Instagram Account By Deleting It Permanently Or Deactivate It For Some Time. In Case You Delete Your Instagram Account Permanently, Your Photos, Videos, Followers And All Data Will Be Delete. While If You Deactivate Your Instagram Account You Will Be Disappear From Whole Instagram. No One Can See Your Posts, Find You In Search, And Follow You. Your Photos, Videos, Or Other Data Will Freeze Until You Activate Your Instagram Back Again. Deleting Permanently Means You Can Not Recover Your Deleted Instagram Account. 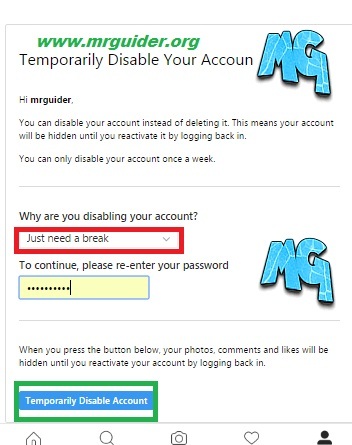 While If You Deactivate It You Can Easily Re-Access Your Instagram Account. Open Any Web Browser In Your Android Device. Recommended – Google Chrome. In The Address Bar Of Your Browser Type – www.instagram.com And Hit Enter. Login To Your Instagram Account Which You Want To Temporarily Disable. Once You Logged In, Go To Profile Section. There You Will See “Edit Profile” Option. Click On It. Scroll Down To Bottom. 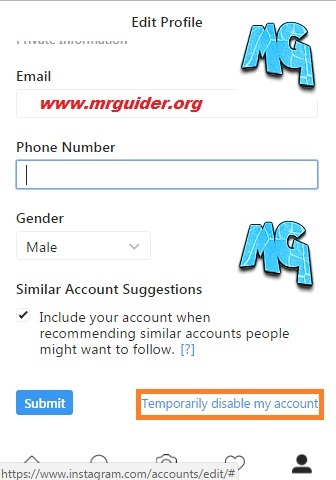 Click On Temporarily Disable My Account. On The Next Page, You Need To Select The Reason Of Why You Are Deactivating Instagram Account. Select Anyone From The List. Re-Enter Your Instagram Account Password. Then Tap On “Temporarily Disable My Account”. Confirm It By Taping On Yes Option. That’s It Your Instagram Account Now Has Been Deactivated. We couldn’t connect to Instagram. Make sure you’re connected to the internet and try again. But Don’t Worry. After Few Hours You Will Be Able To Login Back To Re-Activate Your Instagram Account. 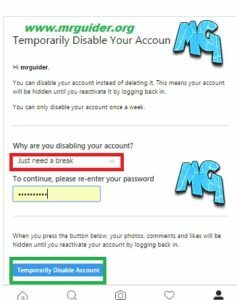 If You Delete Your Instagram Account, You Can Not Reactivate It Again. Deleting An Instagram Account Means Your Photos, Profile, Videos, Likes, Comments, And Followers Will Be Permanently Remove From Instagram. Open Your Web Browser In Your Android Device Or iOS Or In Computer. Once Logged In, Choose Any Reason Of Why You Are Deleting Your Instagram Account. Re-Enter Your Instagram Account. Tap On “Permanently Delete My Instagram Account” Button And Confirm. That’s It. Your Instagram Is Now Successfully Deleted. However, You Should Backup Instagram Photos Before You Delete It Permanently. 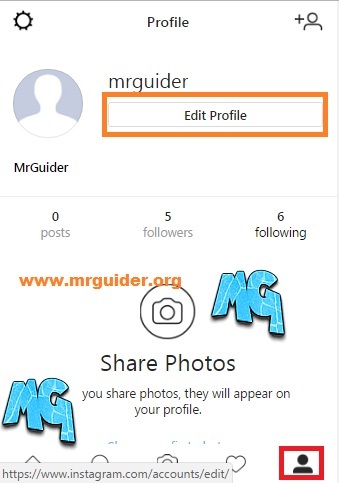 You Can Follow This Guide Which Helps You Download All Photos Of Instagram At Once In A Click.